Four cruise lines offer voyages from San Francisco to Alaska. The departures out of SF are in the warm weather months. Go for the wildlife, scenery, and glaciers. The seafood is good too. A cruise north to Alaska is a great summer vacation adventure. What cruise lines go to Alaska from San Francisco? Princess Cruises, Carnival Cruise Line, Holland America Line, Regent Seven Seas, and Oceania Cruises. The most frequent departures are on Princess. One of the ports of call on almost every cruise to Alaska is Juneau, the state capital. The city is only reachable by boat or plane. Things to do include shopping South Franklin Street, museums, hiking trails, and Mendenhall Glacier. See humpback whales that visit the area in the summer. The video below offers good tips for planning a cruise to Alaska. It's only 4 minutes long. The town of Skagway is a cruise stop on the Inside Passage. It was the starting point for Gold Rush miners headed for the Yukon. Some of the town's buildings are part of the Klondike Gold Rush National Historical Park. Take a walking tour of the historic district and see the nearby scenery on the White Pass & Yukon Railway. Ketchikan is the town at the southern tip of the Inside Passage. It hugs the bluffs that form the shoreline of Revillagigedo Island. Many homes and businesses are built on stilts over the water. 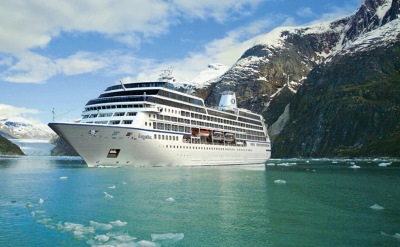 10-day Northwest Wonders Alaska cruise on Oceania Cruises. One-way from San Francisco to Vancouver (Canada). Visit Astoria (Oregon), Sitka (Alaska), Hubbard Glacier, Juneau (Alaska), Wrangell (Alaska) and Ketchikan (Alaska). 10-day cruise to Alaska with Glacier Bay on Princess Cruises. Round-trip from San Francisco to Juneau (Alaska), Skagway (Alaska), Glacier Bay National Park, Ketchikan (Alaska) and Victoria (Canada). • 2019 departure: May 6. 21-day cruise to Alaska & the Pacific Northwest on Holland America Line. Visit Ketchikan (Alaska), Sitka (Alaska), Hubbard Glacier, Valdez (Alaska), Kodiak (Alaska), Anchorage (Alaska), Homer (Alaska), Haines (Alaska), Juneau (Alaska), Tracy Arm Fjord, Kake (Alaska), Wrangell (Alaska), the Inside Passage, Vancouver (Canada), Victoria (Canada), Astoria (Oregon) and Eureka (California). • 2019 departure: May 7. 10-day cruise to Alaska with Hubbard Glacier on Princess Cruises. Round-trip from San Francisco to Juneau (Alaska), Hubbard Glacier, Haines (Alaska), Ketchikan (Alaska) and Victoria (Canada). • 2019 departure: May 16. 10-day cruise to Alaska with Tracy Arm Fjord on Princess Cruises. Round-trip from San Francisco to Ketchikan (Alaska), Haines (Alaska), Juneau (Alaska), Skagway (Alaska), Tracy Arm Fjord and Victoria (Canada). • 2019 departure: May 28. • 2019 departure: June 5. • 2019 departure: June 15. • 2019 departure: June 18. • 2019 departure: June 25. • 2019 departure: July 5. • 2019 departure: July 15. • 2019 departure: July 25. • 2019 departure: August 14. • 2019 departure: August 24. • 2019 departure: September 3. • 2020 departure: May 3. 10-day cruise to Alaska with Tracy Arm Fjord on Carnival Cruise Line. Round-trip from San Francisco to Juneau (Alaska), Skagway (Alaska), Icy Strait Point (Alaska), Tracy Arm Fjord and Victoria (Canada). • 2020 departure: May 11. • 2020 departure: May 13. 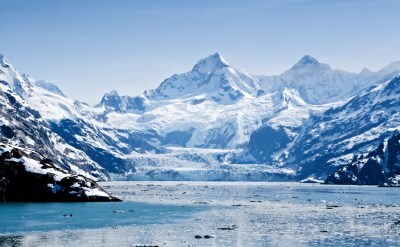 10-day cruise to Alaska with Dawes Glacier on Princess Cruises. Round-trip from San Francisco to Ketchikan (Alaska), Juneau (Alaska), Skagway (Alaska), Endicott Arm & Dawes Glacier (scenic cruising) and Victoria (Canada). • 2020 departure: May 25. • 2020 departure: June 2. • 2020 departure: June 8. • 2020 departure: June 12. • 2020 departure: June 22. • 2020 departure: July 2. • 2020 departure: July 12. • 2020 departure: July 22. 10-day cruise to Alaska with Tracy Arm Fjord on Carnival Cruise Line. Round-trip from San Francisco to Juneau (Alaska), Skagway (Alaska), Sitka (Alaska), Tracy Arm Fjord and Victoria (Canada). • 2020 departure: July 30. • 2020 departure: August 1. 11-day cruise to Alaska with Tracy Arm Fjord on Carnival Cruise Line. Round-trip from San Francisco to Ketchikan (Alaska), Juneau (Alaska), Skagway (Alaska), Icy Strait Point (Alaska), Tracy Arm Fjord and Victoria (Canada). • 2020 departure: August 9. • 2020 departure: August 11. • 2020 departure: August 21. • 2020 departure: August 31. • 2020 departure: September 10. For more options, see cruises to Alaska from Seattle. That is the other major departure port in the Northwest USA.